ASYMPTOTE’S BAKU ECO-CULTURAL MASTER PLAN PRESENTED TO TOP LEADERS IN AZERBAIJAN. Asymptote’s ecological improvement proposal for the capital city features a new cultural causeway linking its historic district to new architectural landmarks. 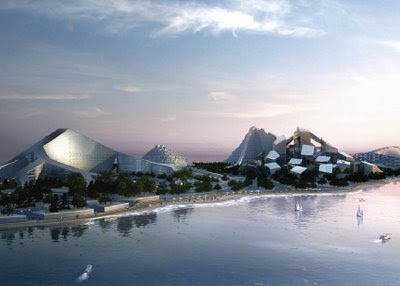 The new master plan uses natural remediation to refurbish the ecological environment of Baku Bay reviving the city’s coastline along the Caspian Sea.